About Us – Country Contracting, Inc.
Country Contracting, Inc. is a second generation general contracting business located in Lyndonville, NY and serves our customers in Western New York. We specialize in quality custom home building and commercial & residential remodeling. Country Contracting, Inc. is proud to be acknowledged by the Better Business Bureau. We are fully insured and certificates of insurance are available upon request. 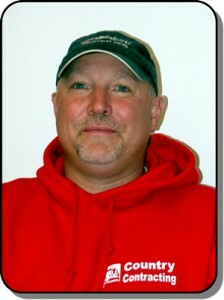 Jon and his father, Barry began Country Contracting in 1987. 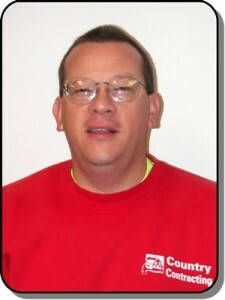 Jon has a degree in civil engineering and supervises all daily operations and works closely with all production crews. Jon has over 25 years of construction experience. Rick has been with Country Contracting since 2000. Rick has over 25 years of business administration experience. He heads up our estimating and sales, and provides designs and CAD drawings for our projects. He’s the number cruncher. Whether constructing your new home or renovating your existing home, we strive to make it a pleasant, stress-free experience with the highest quality workmanship and materials, so you can be entirely satisfied and enjoy your completed project for years to come!